Lock in a great price for Chiayi Maison de Chine Hotel – rated 8.8 by recent guests! 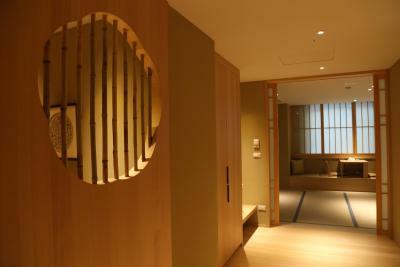 the room and the corridor are so japanese style, i felt like i was in japan. I was impressed they provide japanese style pajamas as well. We booked a room with no window but gave us a room with window. The bed is a bit smaller, but it's fine. The bathroom is clean. The breakfast is also good. Free parking! The staff are all friendly. Location is near to almost everything! Warm and considerable staffs. Proactively care for your needs. 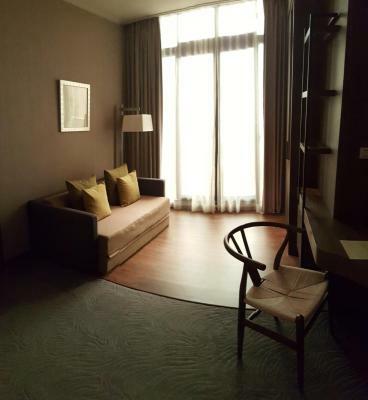 As a b-traveller, sound proofing and comfort of room is what we are looking for. Excellent!!! The owners were very helpful and friendly. We spoke to first the mother, and then her son. It was through her son that we found out the train we intended to take on checkout day was no longer in operation (Taiwan Rail stopped the service because of faults), and having this information allowed us to make alternative plans. The location of the hotel is very central, and the hotel also organises a morning cycle to see the sunrise (the son is the one who leads the group). However, we had to leave early the next morning to catch an 8am bus, so we didn't manage to join the ride. 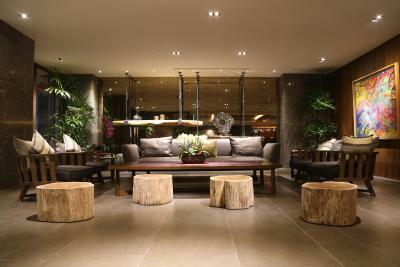 This is definitely a hotel to consider if you're planning a stay in Chia Yi. Very friendly. I really love this hotel. So good with acceptable price. I will come back at next time. The internet worked well. Location was very good - a department store/theater/food court was a block away which had some good restaurants, several local mom/pop restaurants nearby.. It was not far from street markets. A 20 minute walk from the train station. Lots of attentive staff, opened doors and carried luggage down the stairs. My first time in Chiayi and I really found it an interesting "art" and nature aware city. 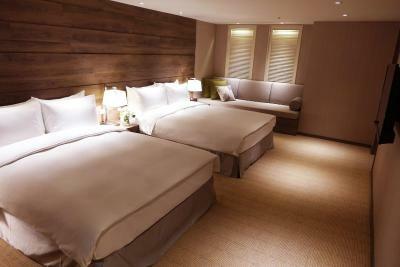 The staff were all quite accommodating and the rooms were very clean. Any requests were met with no problem and answered quickly as well. 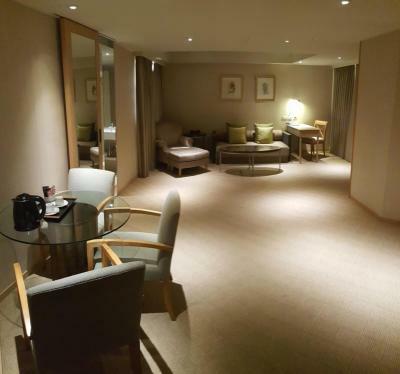 This is of a 5 star hotel standard and we really liked the room as it was spacious and well and nicely furnished. Hotel staff are polite but they tend to speak quite fast for my understanding of their mandarin. The breakfast was great; a wide spread of varieties. 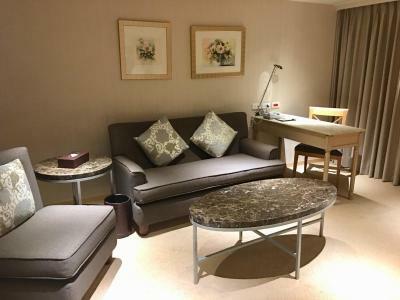 Chiayi Maison de Chine Hotel This rating is a reflection of how the property compares to the industry standard when it comes to price, facilities and services available. It's based on a self-evaluation by the property. Use this rating to help choose your stay! 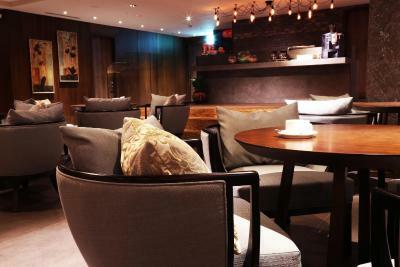 Chiayi Maison de Chine is located is a stylish hotel located a 5-minute drive from Chiayi Railway and Bus Stations. 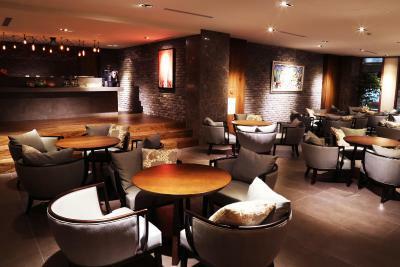 It offers 2 dining options, free parking and free WiFi. The property is Muslim friendly and serves dishes for Muslim guests. 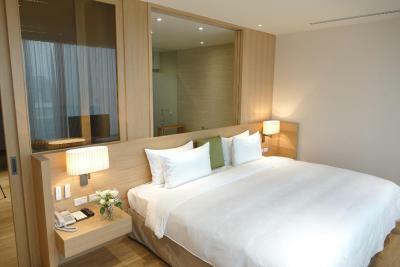 All air-conditioned guest rooms are fitted with a fridge, an electric kettle and a flat-screen TV. 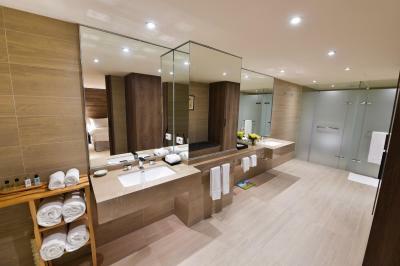 The private bathroom comes with toiletries and a bathtub or shower facilities. 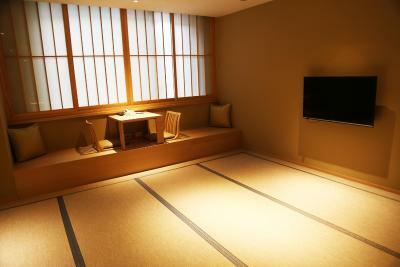 The Japanese style rooms feature tatami floors. 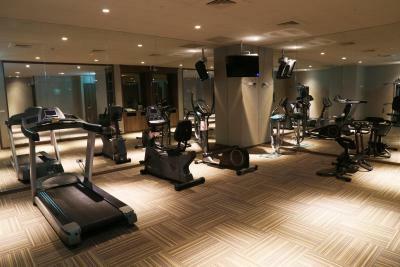 Guests can work out at the well-equipped fitness center or request to use conference facilities for event hosting. 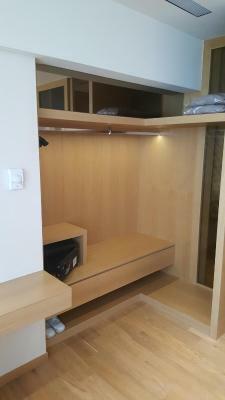 The hotel also offers self-service laundry facilities including washing machine and dryer. The tour desk can assist with making travel arrangements. 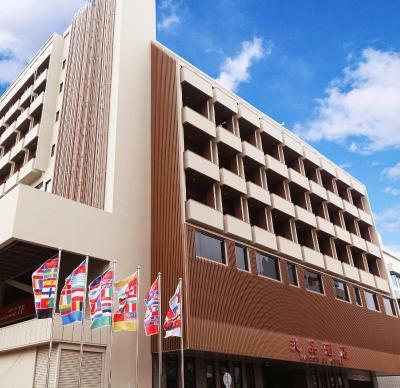 Chiayi Maison de Chine Hotel is a 10-minute walk from Wenhua Road Night Market and a 10-minute drive from the Art Site of Chiayi Railway Warehouse. 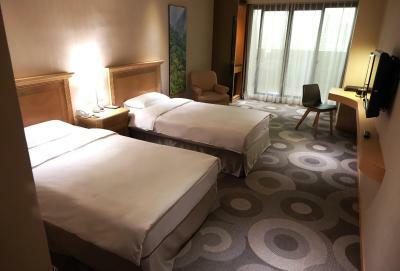 Chiayi Airport is just a 15-minute drive away. 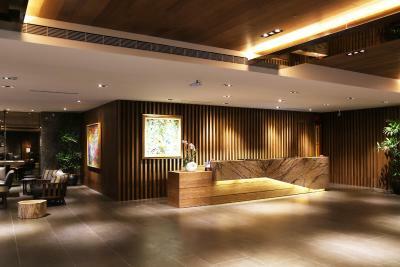 When would you like to stay at Chiayi Maison de Chine Hotel? Coming with 2 single beds and a private bathroom with a bathtub, this room is fitted with an electric kettle, refrigerator and flat-screen TV. Extra bed is possible at an extra charge. More information, please contact the property in advance. Coming with 1 double bed and a private bathroom with a bathtub, this room is fitted with an electric kettle, refrigerator and flat-screen TV. Please note that the double bed size is 150 x 79 in. Coming with 1 double bed and a private bathroom with a bathtub or shower faculties, this room is fitted with an electric kettle, refrigerator and flat-screen TV. 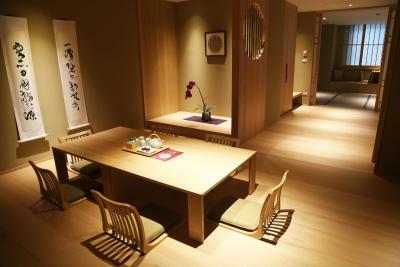 Coming with 2 Japanese futons on the tatami floors and a private bathroom with a bathtub, this room is fitted with an electric kettle, refrigerator and flat-screen TV. 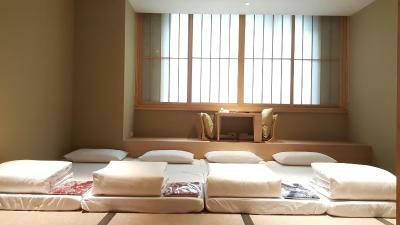 Please note that the Japanese futon size is 90 x 79 in. 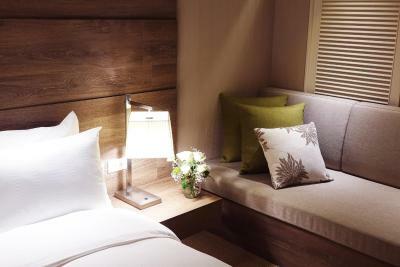 Coming with 2 single beds and a private bathroom with a bathtub or shower faculties, this room is fitted with an electric kettle, refrigerator and flat-screen TV. Coming with 3 single beds or a double bed plus a single bed, this room is fitted with an electric kettle, refrigerator and flat-screen TV. 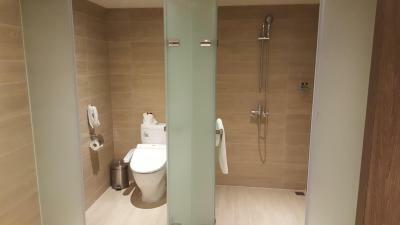 The private bathroom has a bathtub, free toiletries and a hairdryer. Coming with a double bed and a private bathroom with a bathtub or shower faculties, this room is fitted with an electric kettle, refrigerator and flat-screen TV. Coming with 2 double beds and a private bathroom with a bathtub, this room is fitted with an electric kettle, refrigerator and flat-screen TV. 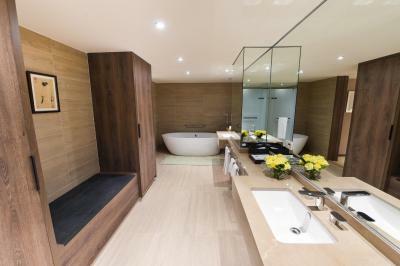 Coming with 2 double beds and a private bathroom with a bathtub, this suite is fitted with an electric kettle, refrigerator and flat-screen TV. Coming with 1 double bed and a private bathroom with a bathtub, this suite is fitted with an electric kettle, refrigerator and flat-screen TV. 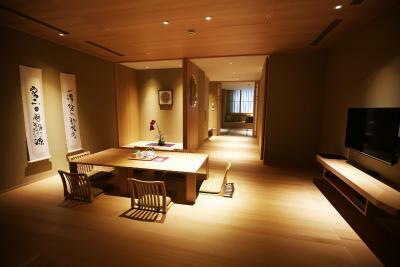 Coming with 4 Japanese futons on the tatami floors and a private bathroom with a bathtub, this room is fitted with an electric kettle, refrigerator and flat-screen TV. 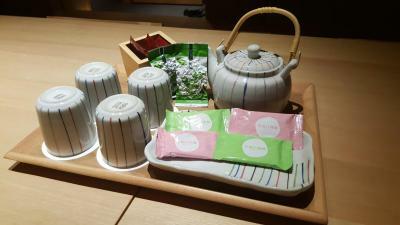 House Rules Chiayi Maison de Chine Hotel takes special requests – add in the next step! 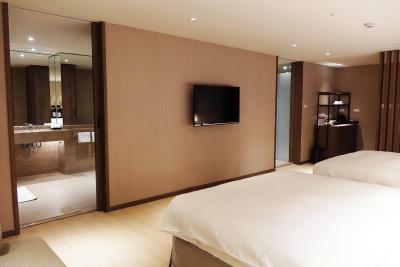 Chiayi Maison de Chine Hotel accepts these cards and reserves the right to temporarily hold an amount prior to arrival. Friendly staff, most willing to assist even my mandarins is not so proficient. Can have frequent shuttle bus between Kaohsiung station is better. Everything. Muslim friendly hotel. Halal food 👍😋 Superb clean bathroom. 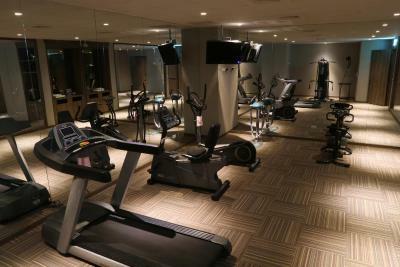 Good location .5 minutes by car from chiayi train station . Walking distance to wehua night market. Carpet needed to be cleaned. Stains on the carpet and smell of cigarettes was very strong when we arrived. Smell was ok after one night. No way of adjusting brightness of tv at night which made watching tv in bed uncomfortable. The laundry facility is not really functioning. After we washed our clothes, we couldn't dry them in the tumble dryer becoz one of them was malfunction and the other on was in use. The bed is not comfortable. The mattress is on the hard side. The A/C fan is quite noisy even at lowest setting. 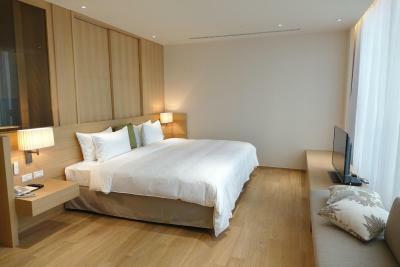 The hotel is at great location, and a night market is within walking distance. The staff is fantastic provided us great service. The hotel offers charging station for EV. They were able reserve the parking space with charging station. Carpets could be steam cleaned in room. 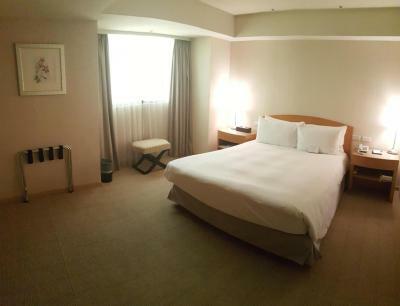 Room is away from TRA station but close to other sites and on same street as one of the night markets. 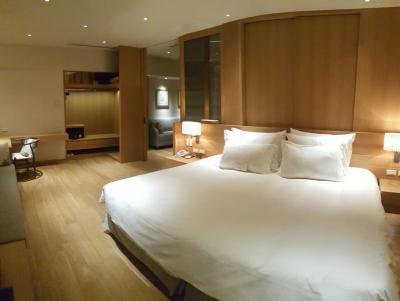 Stayed in two room suite with balcony. Very comfortable. Front desk staff very helpful, breakfast room on top floor gave a view of city. Tour tip: do try to get to the Southern branch of Palace Museum. Stunning building with great exhibits, but it is in the middle of nowhere near HSR station. Good base for Alishan but Chiayi itself is a bit grungy. 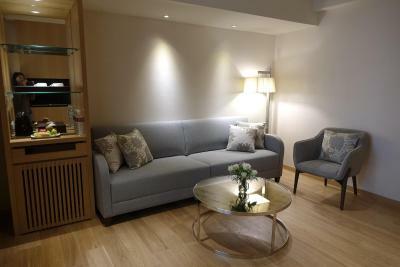 The staff was very very friendly, and were so helpful in making our stay an enjoyable one!